Juniper Networks is one of the world's leading manufacturers of professional high-availability network security solutions. Their innovative scalable VPN and firewall solutions offer unparalleled, unconditional security at an unbeatable price-performance ratio. As an elite Juniper Networks partner, we offer our customers its first-class firewall, VPN and IDP systems which enable detailed access controls as well as its leading routing and switching solutions. Juniper Networks intrusion detection and prevention products provide comprehensive inline network security from worms, Trojans, spyware, keyloggers, and other malware. By accurately identifying application traffic, they ensure continuous availability of business-critical applications. Purpose-built, high-performance integrated security gateways designed to deliver scalable network and application security for large enterprise, carrier and data center networks, including stateful firewall, application security, intrusion prevention, antivirus, antispyware, anti-adware, and antiphishing, antispam, and Web filtering. 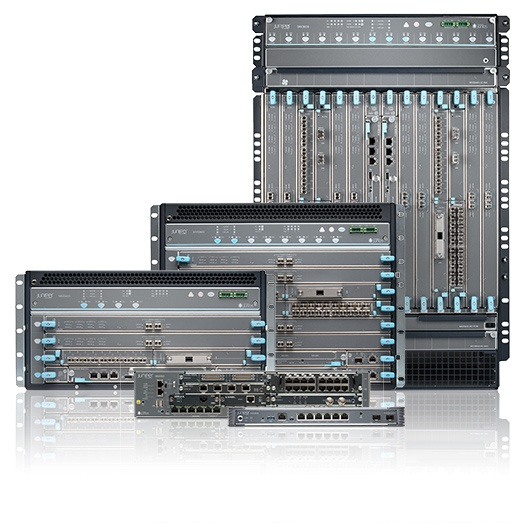 Based on our Dynamic Services Architecture and powered by JUNOS Software, the Juniper Networks SRX Series Services Gateways provide robust networking and security services for enterprise and service provider infrastructures and applications. Juniper Networks SSG Series Secure Services Gateways deliver an ideal blend of performance and security with flexible LAN and WAN connectivity options for remote branch, regional offices, and small to large enterprises. The SSG Series provides a comprehensive set of Unified Threat Management (UTM) security features including stateful firewall, IPSec VPN, IPS, antivirus (anti-spyware, anti-phishing, anti-adware), anti-spam, and Web filtering. Juniper Networks provides comprehensive, scalable, and secure routing solutions designed to meet the needs of both enterprises and service providers. We offer core routers, multiservice edge routers, and carrier Ethernet offerings - all running JUNOS Software. The Juniper Networks Ethernet switching solutions improve the economics of networking and security by building carrier-class, high-density hardware that reduces operational and capital expenses for branch, campus, and data center network environments. Juniper Networks EX Series Ethernet Switches simultaneously advance the fundamentals and economics of networking. Long-term and close cooperation with Juniper and a broad customer base. InfoGuard is the only Juniper Elite Partner in Switzerland. A dedicated support team with certified security specialists guarantee complete and high quality service. Our Juniper specialists are based on regular training and education always up to date. Comprehensive knowledge in the field of Firewall and Network-Security.